Discover a magical place where mountain meets river and the spirit of adventure is born. MAGOEBASKLOOF ADVENTURES specializes in adventure tourism, teambuilding and youth development. We welcome day visitors, holidaymakers, youth groups and corporate clients, with appropriate facilities for all. Our adventure center hosts a large variety of adventure activities on site. 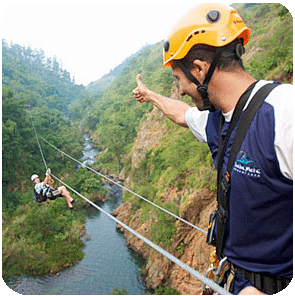 These include: The Magoebaskloof Canopy Tour, White water Tubing, Abseiling, Climbing wall, Mountain Biking, Hiking, Paintball, Kloofing or Canyoning and more. We welcome day visitors, holidaymakers, youth groups, school camps and corporate teambuilding and conferencing clients, with appropriate facilities for all. Our mission at TeamWorx is to facilitate extraordinary experiences that stimulate personal growth and team development. TeamWorx focuses on Human Capital Development where we use adventure as a powerful catalyst to excite, motivate and unite your team. 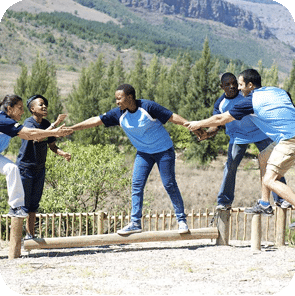 AEL (Adventure related Experiential Learning) is the methodology at the heart of our teambuilding interventions, programs and courses which are specifically designed to enhance the performance and productivity of the individual, the team and ultimately the organization. 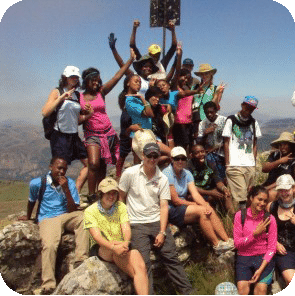 Magoebaskloof Adventures runs life skills orientated, adventure based, experiential learning camps for school and youth groups. Our well trained staff ensures that this all takes place in a safe but fun environment. Involve – Allow each child the opportunity to accept challenges by choice, support and encourage team members. Enlighten – Provide breakthrough opportunities to realize their full potential and the power of Ubuntu. Inspire – Motivate them to take positive action and do great things. We hope you're having high-flying fun this Easter! We'll have you geared up & ready to zipline through the lush green biome of the Letaba River gorge in a flash. In the northeastern corner of South Africa lies an underrated pocket of paradise – the Panorama Route. Visitors often flock south to the Cape or safari in the north, but sandwiched somewhere in between is the often-overlooked province of Mpumalanga. 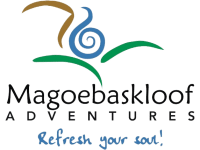 Magoebaskloof Adventures (previously Thaba-Metsi Adventures (Pty) Ltd.) Magoebaskloof Canopy Tours (Pty) Ltd.